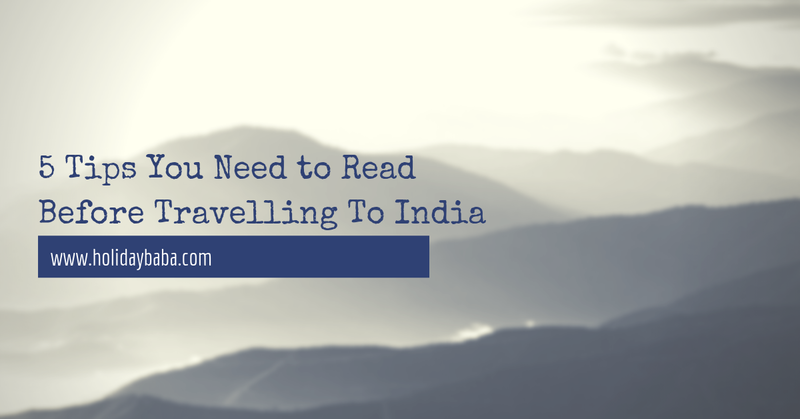 India might be an unpredictable, confusing destination for those who are first-timers, especially if someone arrives unprepared or out of the blue. The place may seem very busy, hectic, but trust me it is one of the most rewarding places you’ll ever visit. India offers some truly incredible sights that are certainly unlike any other destination in the world. It has some very different variety of delicious food items, scenic nature, warm and friendly people and a pleasing cultural heritage that is a delight to explore. Although knowing the right destinations to be visited would seem difficult at first, but with these tips we are sure your trip would be less challenging and more fun. In India you would meet diverse people with different cultural norms, ethics, beliefs, values and standards. The tip to handle such diverse crowd is to go with the flow without being too overelaborate and fussy about things. You’d witness both extreme poverty and extreme richness in the country, so there’s no point getting emotional over petty issues. Foreign travellers are often given as much attention as a super star would get. Don’t panic if somebody is giving you extra attention but always stay conscious, careful and patient while dealing with such situations. You’ll encounter beggars of all varieties, particularly in populous cities throughout India. Unlike other countries, beggars in India can be extremely persistent; they might follow you or grab your hands if you don’t pay them, but we suggest you to avoid these kinds of beggars and avoid giving them money as paying them will only aggravate the problem for you. Although the temperature varies in India, it could be extreme cold or extreme hot depending on the time you are visiting the place, but dress according to the place you are going not the temperature. Be it warm, walking in a low top would be unacceptable and might gain you unwanted attention from the crowd around you. Haggling is a natural part of shopping in any market in India. It might seem to be a little strange to you if you are from a culture where haggling is not the norm. You must understand that haggling in India is a friendly negotiation with the vendor. The price of most of the things is negotiable and if you don’t haggle, you might end up spending a lot more than the cost of the item. So you must be attentive and learn to haggle when shopping in India. If you are planning to visit India or have just arrived, make sure to follow the aforementioned tips to stay stress-free and have a wonderful experience. We are sure you’re going to take back a lot of delightful memories from India.